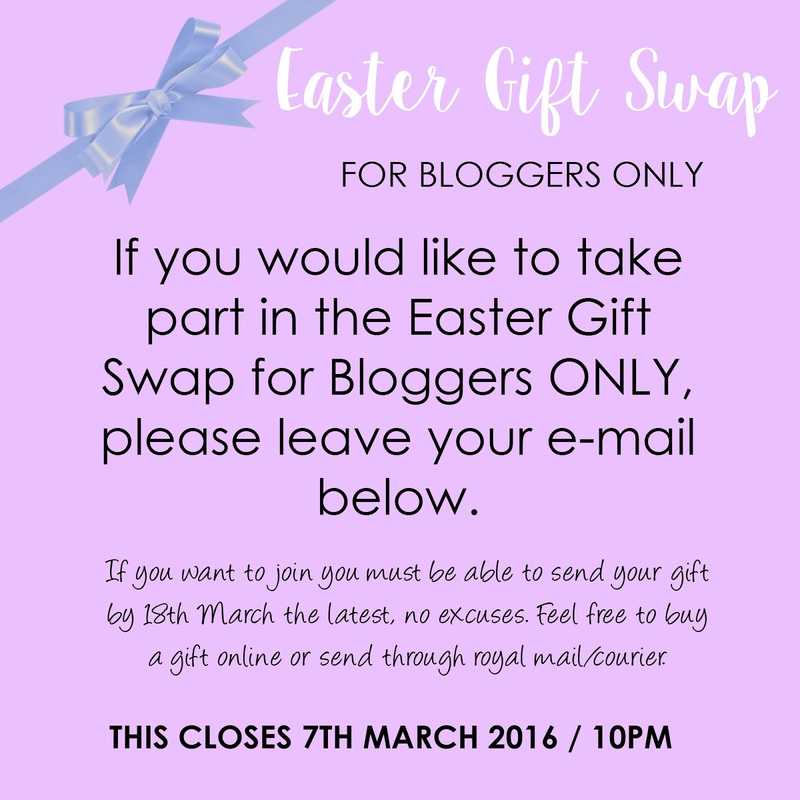 A few months before Christmas last year, I set up a Bloggers Secret Santa group on Facebook. 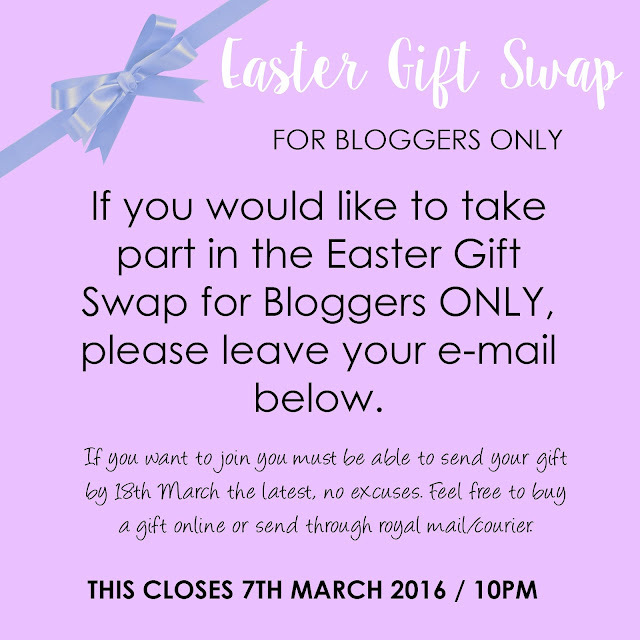 The whole idea was to get a few bloggers together and let them receive a few surprise gifts. It all went really well, except the 2 or 3 people who let others down. It was hard work. I spent hours e-mailing people and sorting out who should send to who etc, it took a lot of time. But knowing that the people were really happy when they received their gifts has made me want to carry it on through the year. I am now currently running an Easter Gift Swap for bloggers only. I have got two lists, one for the adults and one for the kids. I thought seeing as I am a parenting blogger myself, I couldn't miss the kids. 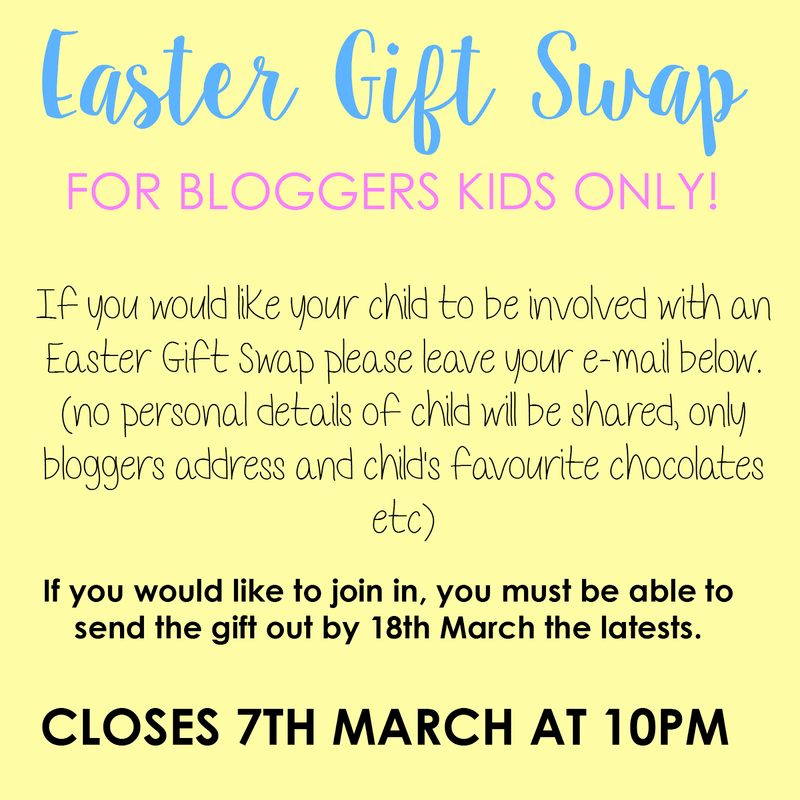 It's also a great way to discover new blogs and receive lovely gifts from fellow bloggers.